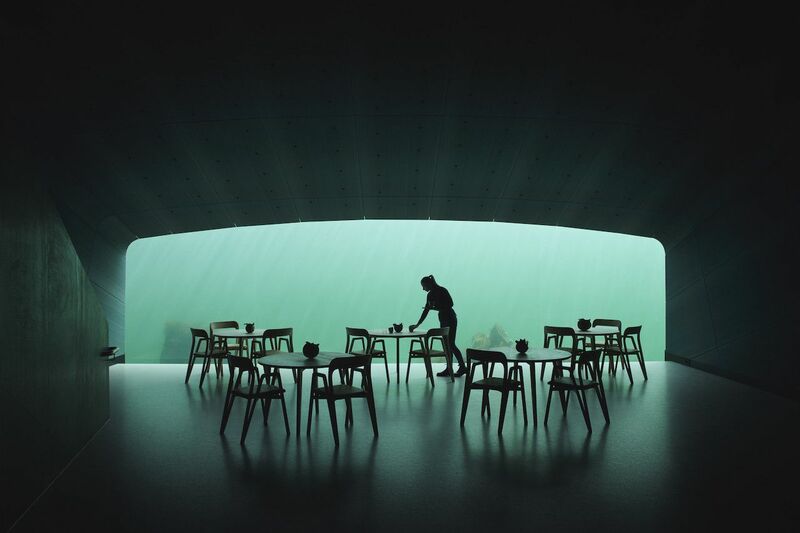 The exterior may look like a scene from a disaster movie, but the 111-foot-long building half-sunken in the North Sea is actually Europe’s first underwater restaurant. 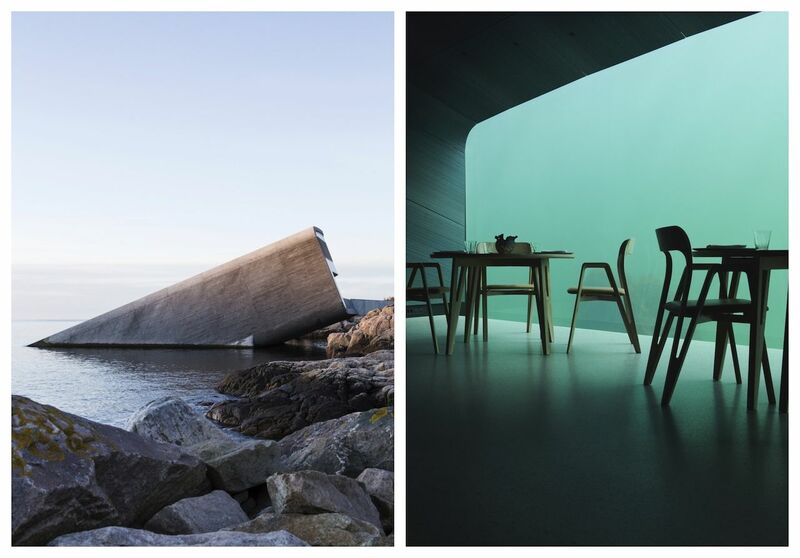 Located in the region of Lindesnes, on the southern tip of Norway on the North Sea, Under, which was designed by Norwegian architecture firm Snøhetta, is a unique and incredibly innovative structure. 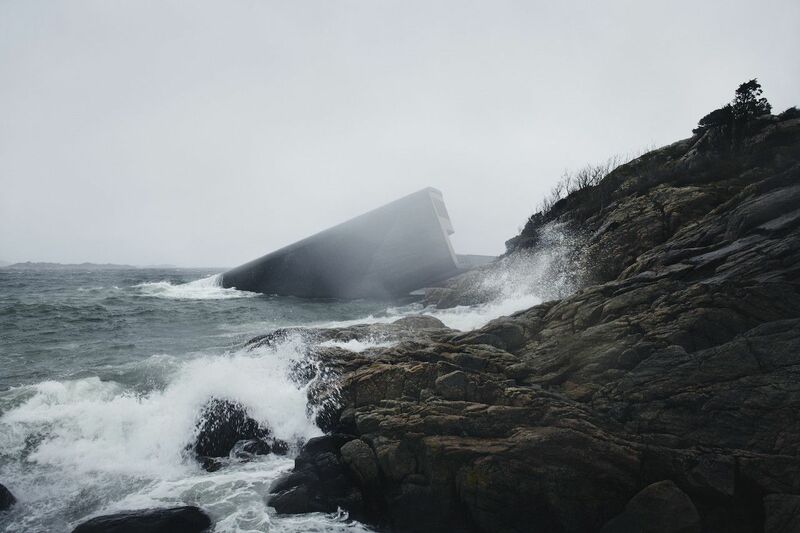 Built with thick and rough concrete walls to withstand the harsh sea and weather conditions, the building is meant to act as an artificial reef over time. Indeed, Under will not only accommodate up to 40 hungry guests, but will also function as a research center for marine life. The exterior of the restaurant has been fitted with cameras and measurement tools for scientists to keep an eye on the fauna and flora of the area. Upon entering the restaurant, guests will be greeted by a warm and welcoming oak-clad foyer and rich interiors. 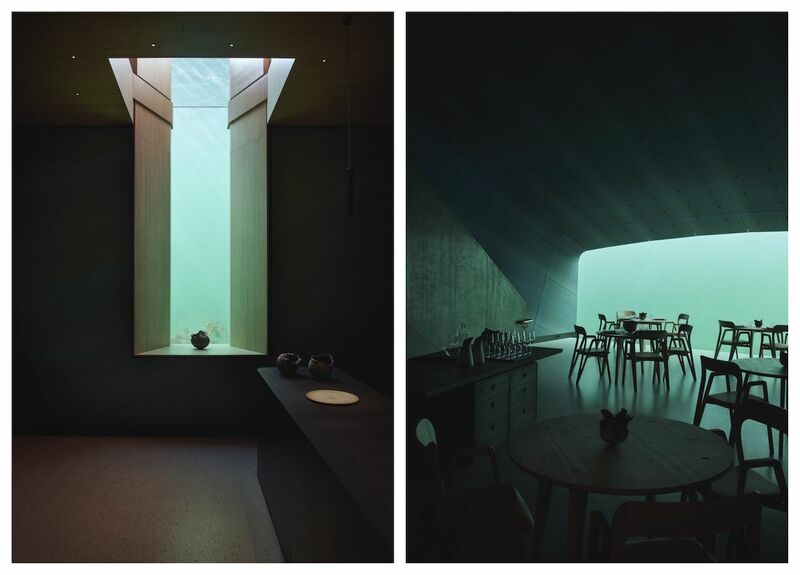 Down the stairs into the dining room and below the ocean’s surface, the light has a green and blue aquatic quality, and the large window offers a view of the sea and its wildlife. As for the food, the menu is based on locally sourced produce and sustainable wildlife capture. You can reserve a table online, but bookings are flooding in and you’ll have to plan pretty far in advance to secure a table.